One of the most well known comforts during a cold or a bout of the flu is using vapor rub to breathe easier. 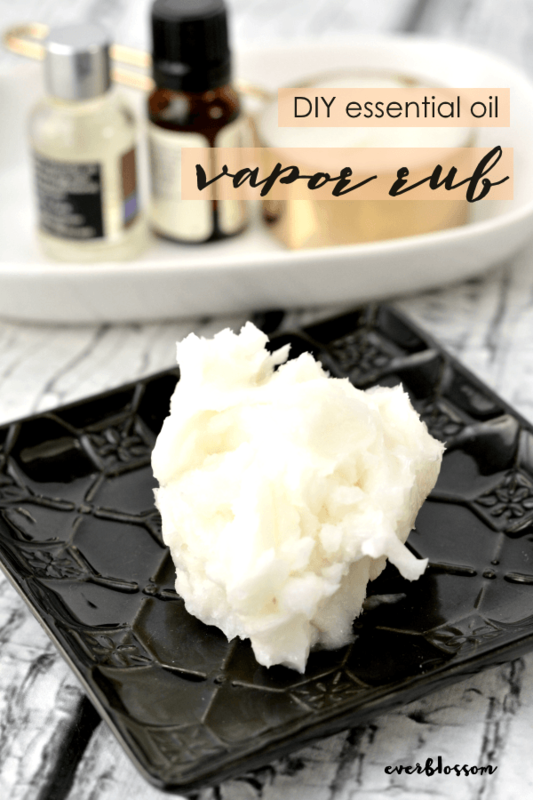 This essential oil vapor rub is one you can make yourself with just 3 simple ingredients! 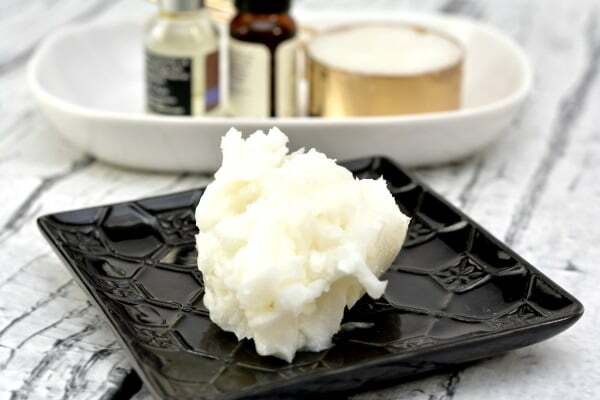 Place a ¼ cup of coconut oil into a small bowl. You want the coconut to be solid in form, so place it in the fridge if it has warmed up too much. Add 20 drops of peppermint essential oil, and 14 drops of lavender essential oil to your coconut oil in the bowl. You can add more or of either essential oil if you prefer to make the scent stronger, but this is a basic recipe. Mix the contents together well, and place in the fridge for at least 1 hour before use. To use, rub a small amount of peppermint lavender vapor rub on the chest and neck until absorbed. 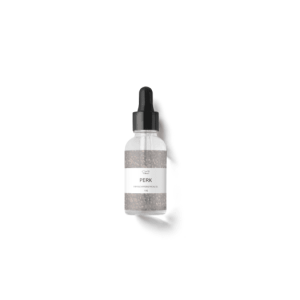 Store this essential oil vapor rub in an airtight container – don't allow water to get in! Peppermint (Mentha piperita) has been used medicinally for thousands of years. Its main active constituent is menthol, which is the compound we can thank for peppermints cough and congestion soothing effects. Peppermint is also helpful for soothing nausea and indigestion and for anti inflammatory pain relief. Lavender (Lavandula officinalis) is bursting with medicinal compounds. Lavender has been clinically tested and shown to be as effective as larazapam, a common medication for depression, for improving mood. It's also a helpful sleep aid and mild pain reliever. I’m gonna give this a try I have everything thanks for the info . I think this looks like a great combination of scents. This sounds heavenly right now! Wish I had seen the DIY 2 months ago when we had that nasty funk that was going around.